Because the main goal of making an interior model of a building in SketchUp is to end up with accurate interior spaces, you need to work from the inside out. 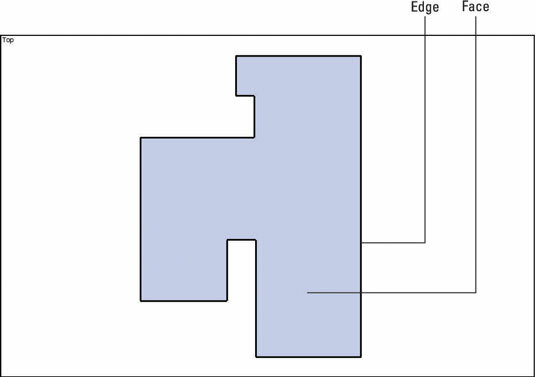 If your tape measure is long enough, try to figure out a way to get the major dimensions first — this means the total interior width and length of the inside of your building. You may not be able to, but do your best. After that, just work your way around, using basic arithmetic and logic to figure out the size of the space. 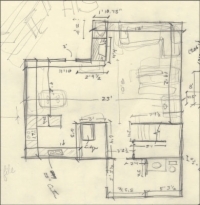 1Before you start drawing an interior outline in SketchUp, make a paper drawing. 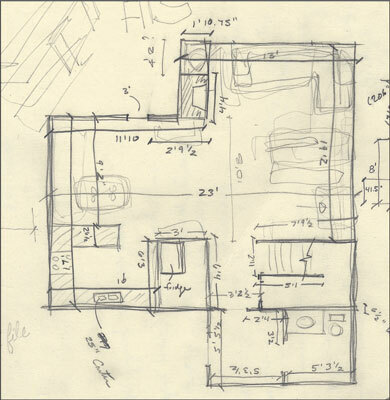 The drawing helps you know what you need to draw so you can focus all your concentration for drafting on the computer. Switch to a 2D overhead view. 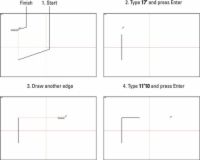 2Using the Line tool, draw an edge 17 feet long, representing the eastern wall of the house. To draw it, click once to start the edge, move your cursor up until you see the green linear inference (indicating that you’re drawing parallel to the green axis), and click again to end the line. To make the edge 17 feet long, type 17‘ (remember you don’t need to click anywhere before you start typing) and then press Enter. The line resizes itself automatically to be exactly 17 feet in length. If you want, you can use the Tape Measure to double-check the size. 3Draw an edge 11 feet, 10 inches long, starting at the end of the first edge, heading to the right in the red direction. 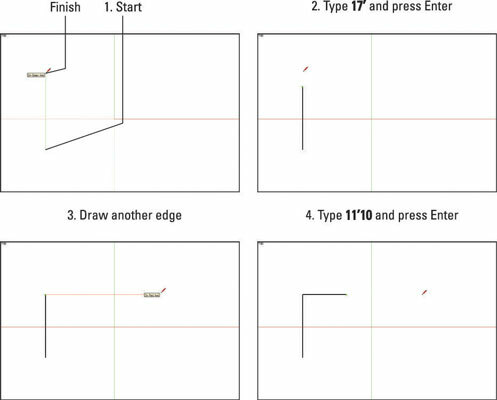 To do this, do exactly what you did to draw the first edge, except that you move parallel to the red axis this time, type 11‘10, and then press Enter. 4Keep going all the way around the house, until you get back to where you started. If you make a mistake, either use the Eraser to get rid of edges you’re unhappy with or choose Edit→Undo to go back a step or two. 5If all your measurements don't add up, adjust things so that they do — a few extra inches here and there never killed anyone, after all.